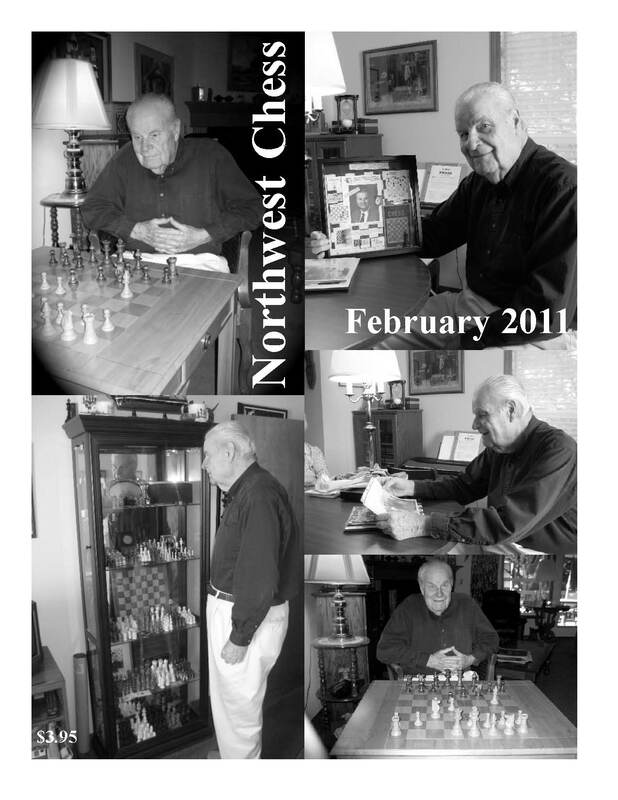 Northwest Chess regrets to announce the death of Ralph L. Hall (1930-2011), longtime chess player and organizer in the state of Oregon. See NWC magazine back issues page for more information about the February 2011 magazine. Obituary supplied by the Hall family: Ralph L. Hall was born to Max and Velva Hall in Smithfield, Nebraska on June 16,1930. He died on January 17,2011 in Oregon City, Oregon. He graduated from Elwood, Nebraska High School in 1948. He attended the University of Nebraska in Lincoln. receiving a BSc degree "with distinction" in 1953 and an MSc degree in 1957. He was commissioned a 2nd Lt. in the US Air Force in June 1953. Ralph married Irene Roberts in Wahoo, Nebraska, on August 16, 1952. He was a science teacher and coach at Coleridge, Nebraska, for the 1953-54 school year. Ralph served on active duty in the Air Force from 1954 to 1956. He was a Squadron Adjutant at Kimpo Air Base for one year at that time. He was promoted to 1st Lt. in June 1955. Following his military service, he became a teacher, coach, then Assistant Principal at Norfolk, Nebraska, High School. Ralph was an enthusiastic chess player. He joined the US Chess Federation in 1957 and remained a member for the rest of his life. He and another chess enthusiast established the Norfolk Chess Club in 1956. Where ever Ralph and Irene lived after that, Ralph would join the local chess club or establish one. Ralph studied full time at Teachers College, Columbia University from 1960 to 1962 earning a Doctor of Education degree in 1965. In 1962 he accepted an administrative job in the Miami-Dade Public Schools, the fifth largest school district in the country. Ralph served as a school principal and curriculum director during his 13 years in Florida. Daughter, Kristine, was born in 1963. In 1975, Ralph was hired to be Principal of Moss Junior High in Oregon City, Oregon, a new open space school to be opened in 1976. He retired in 1985. Ralph established the Oregon City Chess Club in 1976. He was the Chief Organizer of the 1987 Chess Championship tournament, a two week event held at the Hilton Hotel in Portland. He was a member of the Oregon City Men's Golf Club from 1986 to 2008. Ralph is survived by his wife, Irene, his daughter, Kristine, his son-in-law Chris and three grandchildren. Information supplied by IM John Donaldson: That is sad news about Ralph Hall who was instrumental in bringing the 1987 U.S. Open to Portland - one of the best U.S. Opens according to many I have spoken to both because it was well organized and also because it was in a downtown location in a city where it wasn't 100 degrees. Ralph's chess memoirs are in the John G. White Collection in Cleveland, Ohio.